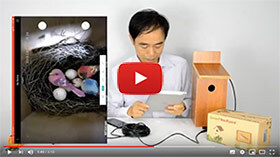 How to connect bird box camera to WiFi network by using the android phone. The following instruction is wrote for android phone only. The apple iOS system doesn’t allow mobile application to use Wi-Fi search. 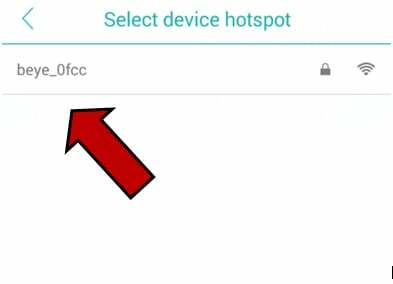 You will need to input your home WiFi SSID manually on step 4th. 1. First, go to the Wi-Fi settings on your mobile phone. 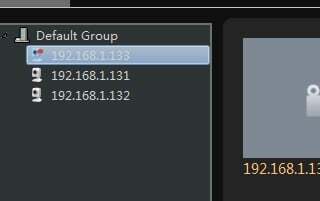 Here in “choose a network” you should see a network by the name of beye_*** or IPC_***. This is the internal Wi-Fi network for the camera. If you didn’t see the camera’s internal Wi-Fi. Reset the camera back to factory settings by depressing the reset button continuously for 15 seconds then let up. Wait for around 2 minutes, the camera’s WiFi should appear in this list. 2. Now go to the app. You are ready to add the camera to your Wi-Fi network. 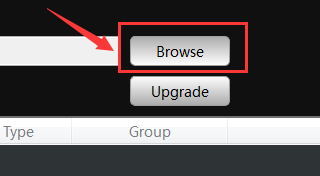 Click on “I know” and then click on the “+” sign on the next screen in the upper right hand corner. Next click “More” in the upper right hand corner. 3. The hidden option will appear. 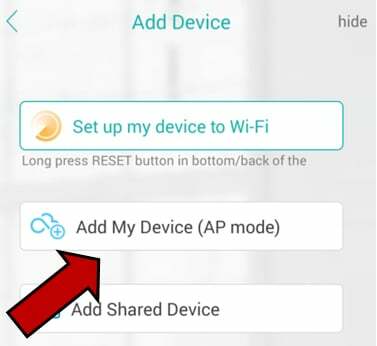 Now choose “Add My Device (AP mode)”. In the next screen Click “Next step”. 4. In the new screen, your camera’s internal Wi-Fi should appear in the list. Now tap the camera’s Wi-Fi. Your mobile phone will connect to camera’s Wi-Fi network. 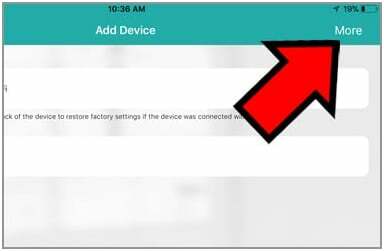 Important: if you see error message pop up, please turn of 3G/4G data and bluetooth of your mobile phone and try it again. 5. In the next screen, you should see your home Wi-Fi already entered. 6. 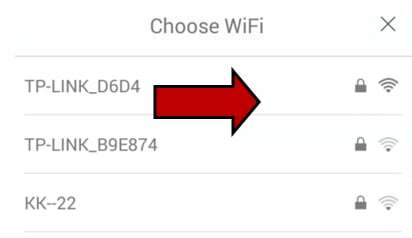 If you want to change home WiFi you want the camera to work with, tap the arrow next to your home Wi-Fi. In the new screen, The available Wi-Fi will appear as below image. Choose one of your home Wi-Fi for the camera to connect to. 7. 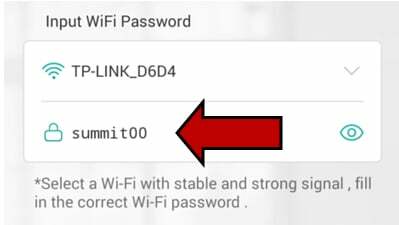 Now input the password of the home Wi-Fi. Press “Confirm”. You are now taken to the next screen labeled “Device Searching”. 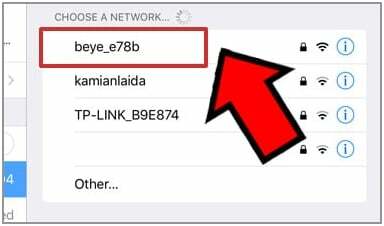 Now your camera is searching for your home wifi connection. GIVE IT TIME. It may take several seconds. 8. In the next screen, you will be promoted with interface for creating new password for the camera. Remember this is the new password for your camera. You may need this password to connect the camera to PC software. In the next screen, give a new name to your camera. 9. Now return to the Smart Device. The camera will appear “Online”. Click the camera, you can enjoy beautiful HD colored video! However, if the radar counts down to zero without new screen for password, you will need to reset the camera. To do this, press and hold the reset button for 15 seconds on the camera. Then you repeat the above process from first step. 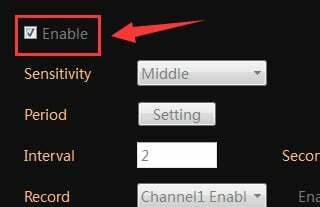 If you are using dual band 2.4Ghz and 5.8Ghz Wi-Fi router. However, it is worth to test 5.8Ghz Wi-Fi on step 6th if the 2.4Ghz doesn’t work out. Or you can see the video below. 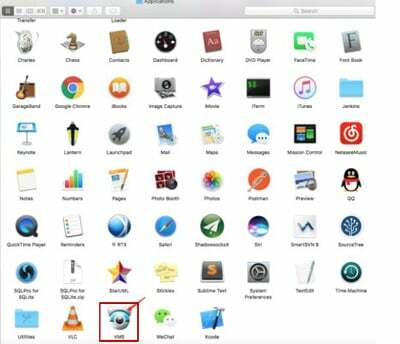 The operation of Mac CCTV video software is similar as windows CMS5. 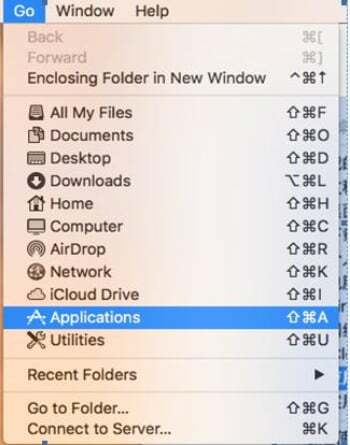 Some of the function may be not available with Mac version. 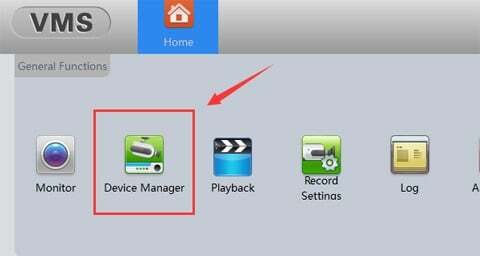 You can watch the live video, playback and download the recording files on the camera, or configure the camera to improve the light condition. 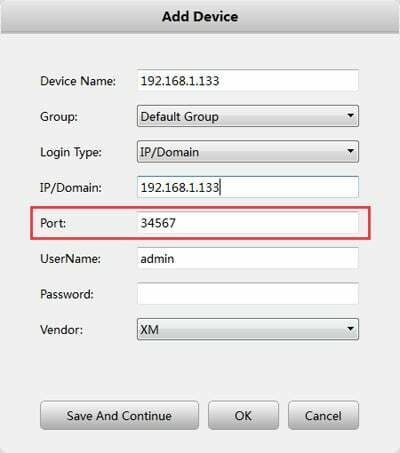 As VMS doesn’t support P2P cloud connection, if you want to access the camera remotely with Mac OS, you will have to manual port forwarding the TCP port (34567) on your router. You can find a place with few bushes for the bird feeder camera to blend into. The bushes can’t be over lush to block the camera view. More important, the bushes may even reflect the infrared and blind the camera at night. If there’s no bushes in the scene, you may use the camouflage in the box. The simplest way to watch bird camera on Mac OS is the Safari browser. 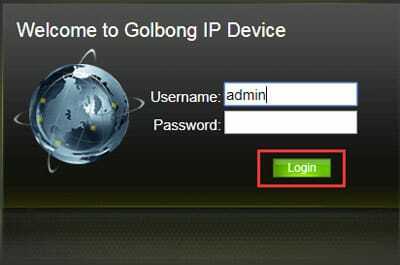 You will need to find the IP address of the camera before you can login. However, it has very limited function with Safari browser. 2. 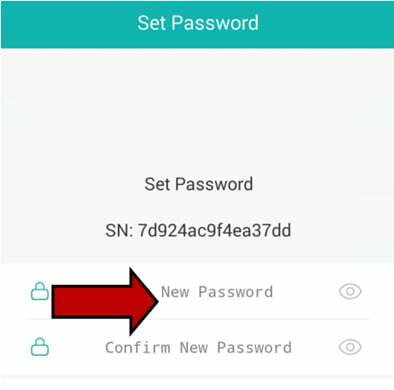 Fill in the username and password of the camera. 3. 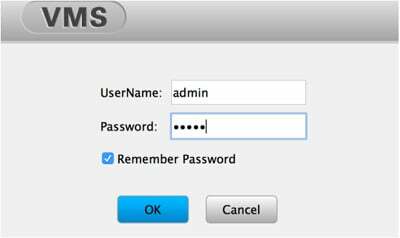 The default username is admin, The password is empty if you didn’t set a new one. 5. Click the main stream icon on the top left screen to watch the live video. 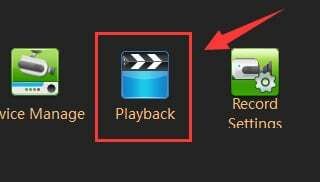 NOTE: The video will be sent to the Safari with RTSP which require quicktime player available in the Mac OS. You can upload the latest firmware to your camera to have new feature. Please DON’T dis-connect the camera’s power before the upload process complete. Otherwise, the camera will fail to boot up. NOTE: Different camera requires different firmware. 4. 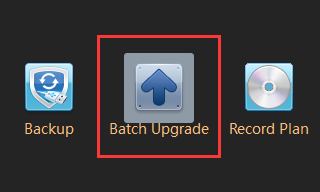 Click Upgrade to upload the file. IMPORTANT: Do not dis-connect the power or close the software before the upgrade is completed. 5. NOTE: Different camera requires different firmware. 6. Click Upgrade to upload the file. Currently we have release beta Mac OS software, you may test the software with your bird camera. We don’t guarantee the software will work perfectly with your Mac OS. With following instruction, you will download and install the software manually. It is not available in the Mac Store. 1. Download the software to your Mac with below link. 4. 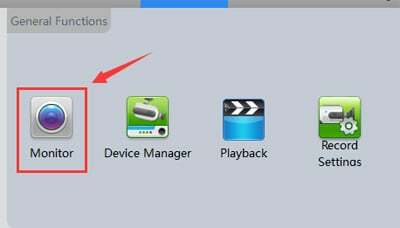 Double click the VMS icon in the application. A new interface pops up. 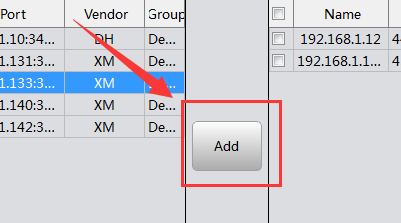 NOTE: Drag the VMS icon to the desktop can create a shortcut for future access. 5. Fill in the username and password. The default username and password both are “admin”. NOTE: This is the account information for the VMS software, not the camera. 6. Click OK to login. 7. 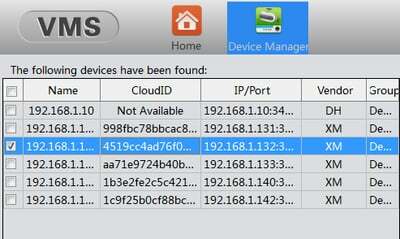 Choose the Device Manager in the main console. 8. Select the IP camera from left side. 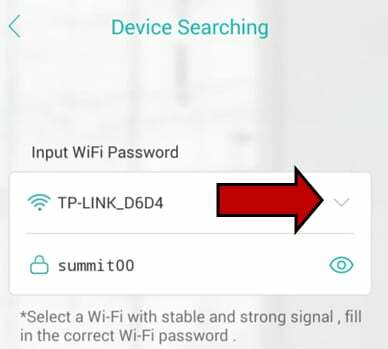 NOTE: The software can discover the ip camera automatically after it is connected to your network successfully. 9. Click Add to connect the camera. 10. Return main console, Choose Monitor. 11. Click the camera on the device list to watch the live. If you would like to access the camera remotely with Mac OS, you may need forwarding TCP port (34567) in your router and manual add the camera to the Mac OS. The VMS software can discover the camera automatically in the local network. 1. 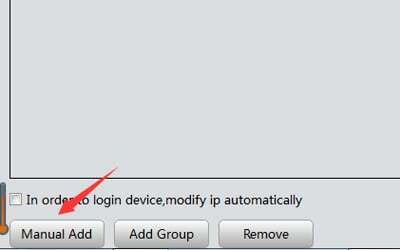 Choose Device manager in the main console. NOTE: TCP port has been forwarded in your router for remotely accessing. 6. Click OK to save. 7. Return to monitor to watch the live video. This article covers the basic instruction to record bird camera to your PC hard drive with motion detection. The bird camera will send a message to the PC software once the motion is picked up from the sense. Then the PC software will start recording the video to your hard drive. 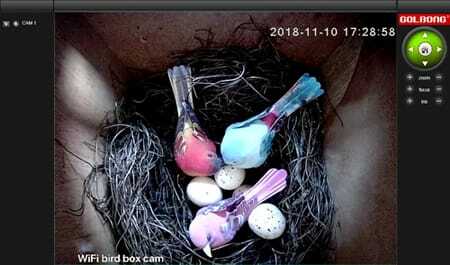 You will need to install our free PC software and connect your bird camera before you can record the video. 1. 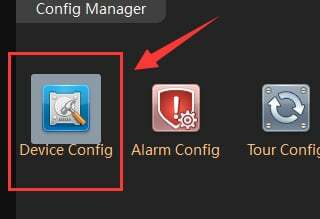 Click ‘Device Config’ in the ‘Home page. 2. 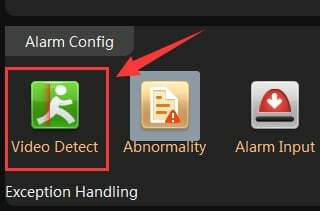 Click the ‘Video Detect’ In the ‘Device Config’ page. 3. Check the ‘Enable’ to turn on the motion detection in your wildlife camera. Click ‘OK’ to save. 5. Double click the name to select the camera you would like to record. 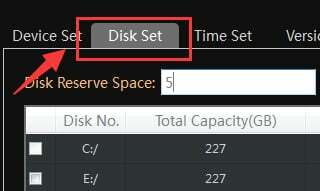 6.Click ‘Disk set’ to choose the hard drive disk and click ‘OK’ to save. 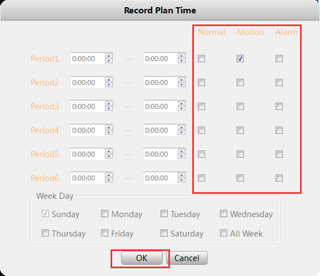 7.Click ‘Time Set’ to configure the recording plan. 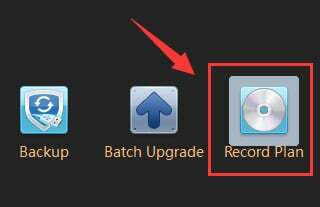 Choose ‘Record Channel’, Click configure icon ，a new screen will pop up. 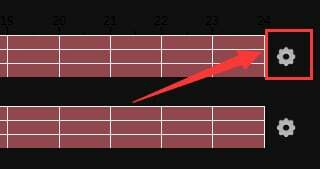 8.Configure the time frame such as 0.00.00 to 23.59.59, Check the ‘Motion’, the camera will only record with motion. Click ‘OK’ to save. NOTE: Check the ‘Normal’, the camera can record the video continuously. 9. Click Start icon ，on the top right to turn on recording plan. 10. Return ‘Home page, click ‘playback’ to view the recording files.